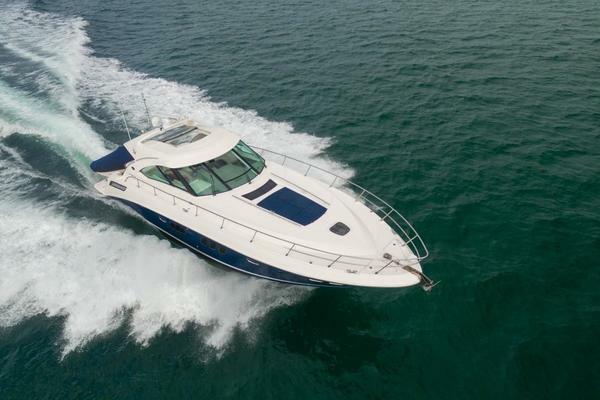 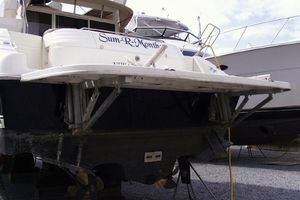 The SUM R MONTHS features the standard and very accommodating 440 Express Bridge layout but with the added bonus of a complete hull and topside Awlgrip paint job, new flat panel TV’s, interior hardware, professional maintenance, and fresh water storage. 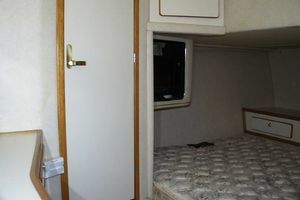 The forward stateroom features an over-sized double berth, a full head with separate stall shower to port, plenty of storage to starboard, and a new 13” Coby flat panel TV. 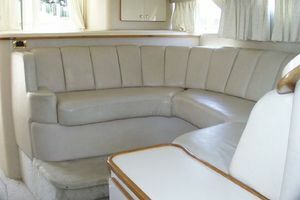 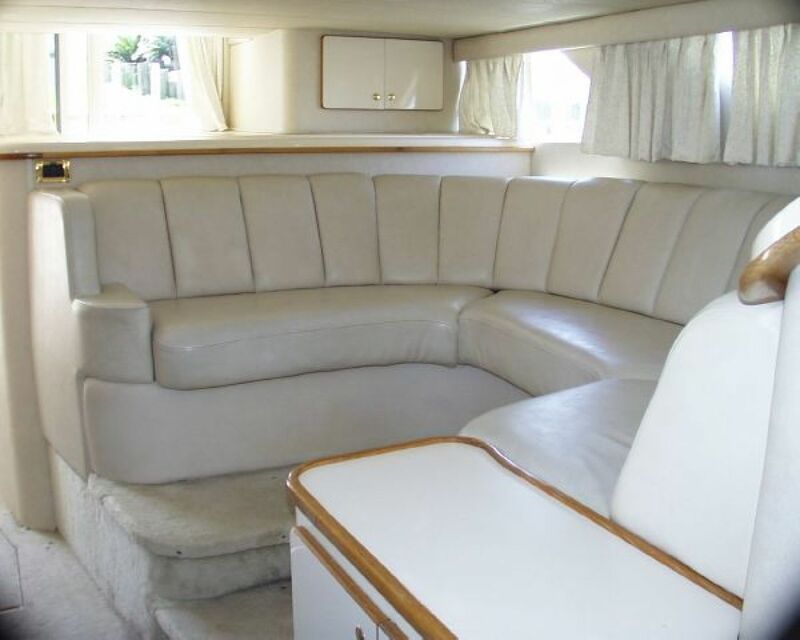 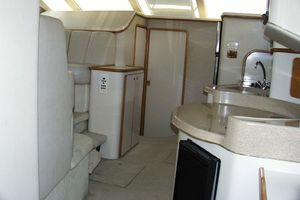 There is a U-shaped dinette to port and the full galley is to starboard featuring a Norcold upright refridgerator/freezer, GE microwave oven, Euro Kera 3-burner electric ceramic stove, Black and Decker coffee maker, Splendide washer & dryer combo, Nutone built-in blender, Raritan ice maker, 17” Haier flat panel TV, Central vacuum system, 12- gallon electric water heater. 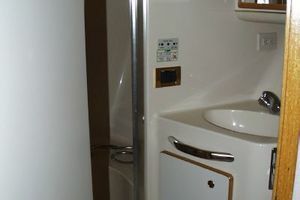 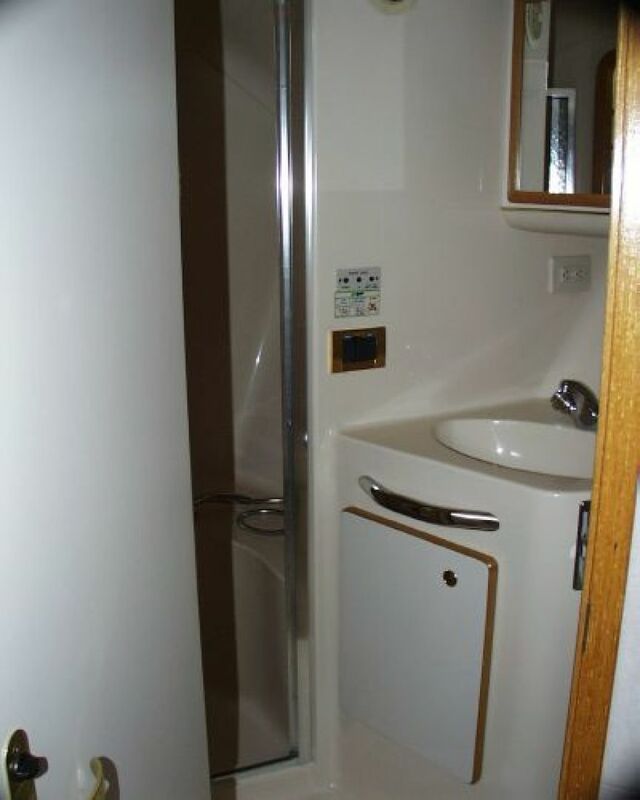 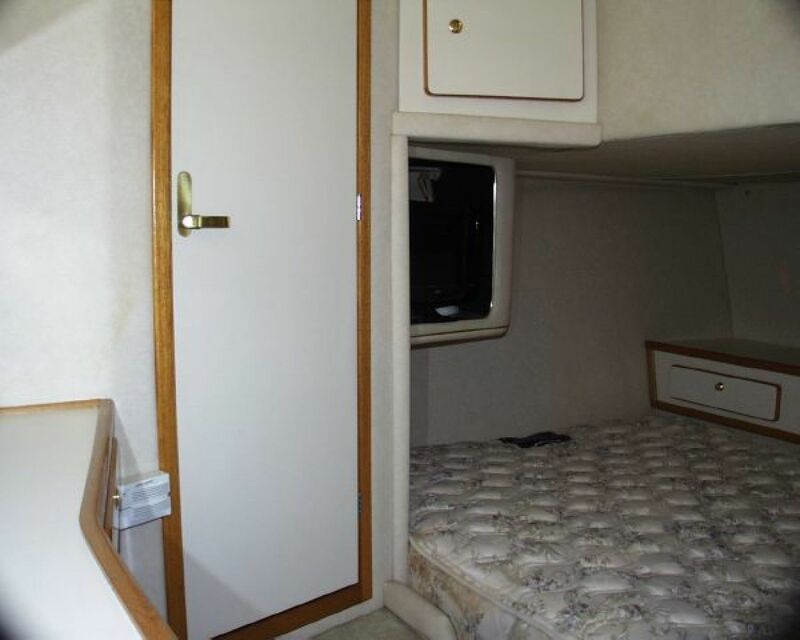 The guest stateroom is aft, to port, and under the dinette and features a double berth, private head with shower, and a 13” Coby flat panel TV. 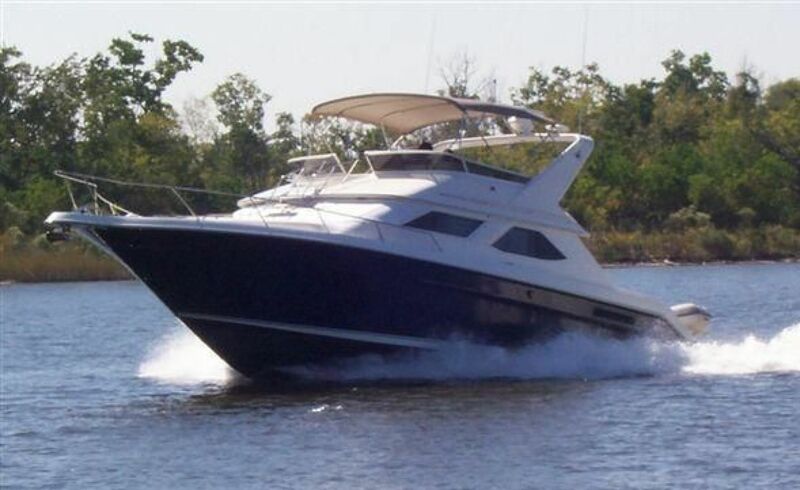 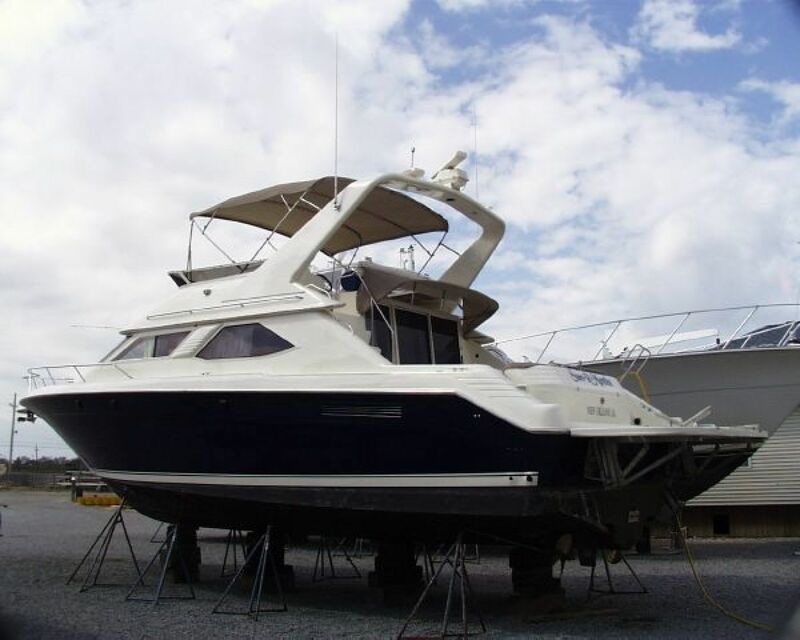 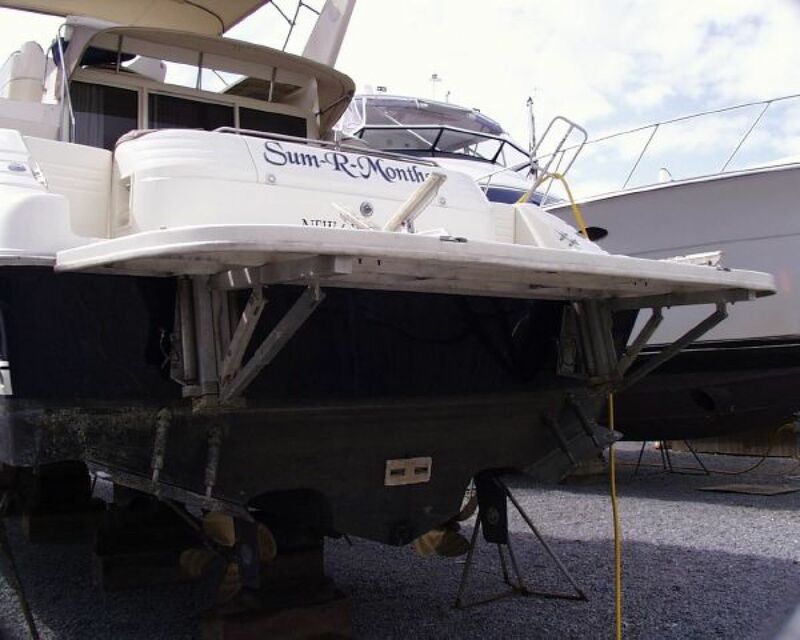 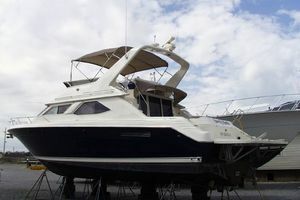 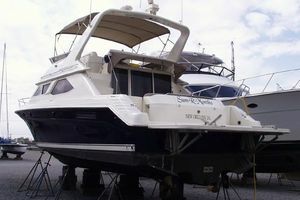 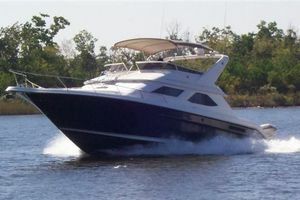 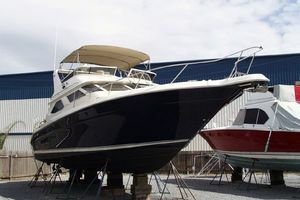 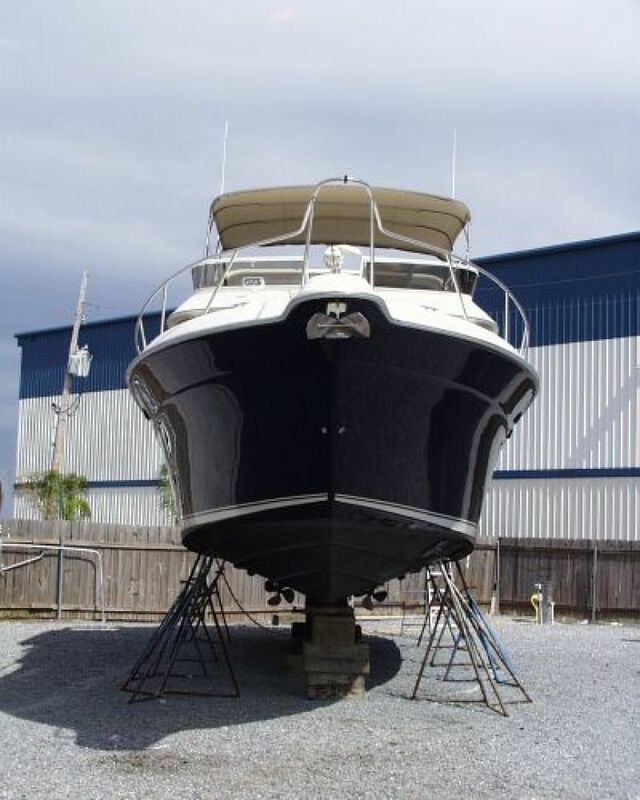 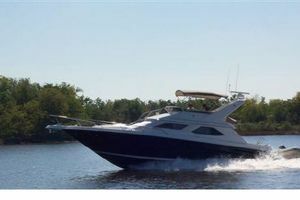 TNT transom lift, cockpit and flybridge tables, cockpit Sunshade, front window cover, sliding salon door, stainless hardware, radar arch and Bimini top, new exterior cushions, 3-sided bridge enclosure, flybridge refrigerator, 2-rod holders, helm chair, stainless steel Plow anchor, Lofrans chain and rope windlass. 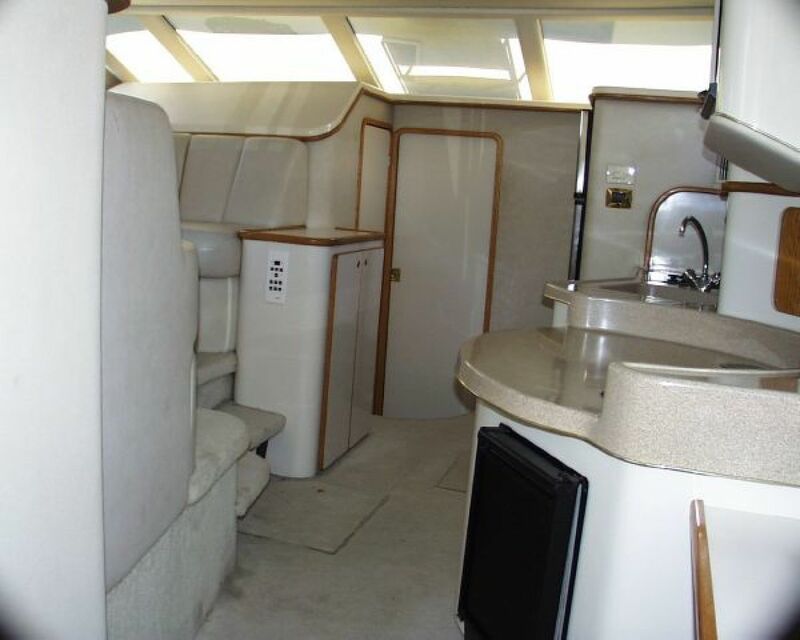 5” Ritchie compass, Raytheon RG520 plotter, Sony Stereo speakers, Raymarine ST 60 digital depth, Ray Pilot 650 auto pilot, 2-13” Coby flat panel TV’s, 17” Haier TV. 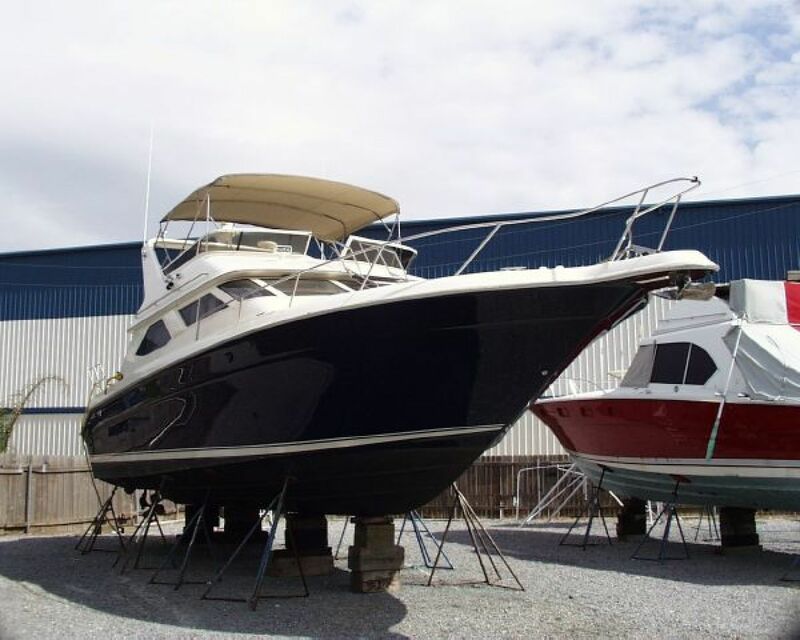 Westerbeke 8 Kw generator with 1219 hours, dual 900 Racors with vacuum gauges, Pro Mariner 60 amp 12-volt charger, Glendinning synchronizer, 220-volt/50 amp and 110-volt/30 amp shore power inlets, fluorescent engine room lights, Vaccu Flush head system, new batteries (2010), Teleflex engine and steering controls, VDO engine gauges. 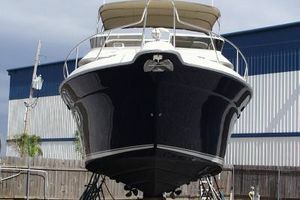 The SUM R MONTHS has had many recent upgrades and improvements including a complete Awlgrip paint job, new batteries, new engine gauges, new shafts, new cushions, new light fixtures, switches, and cabinet hardware. 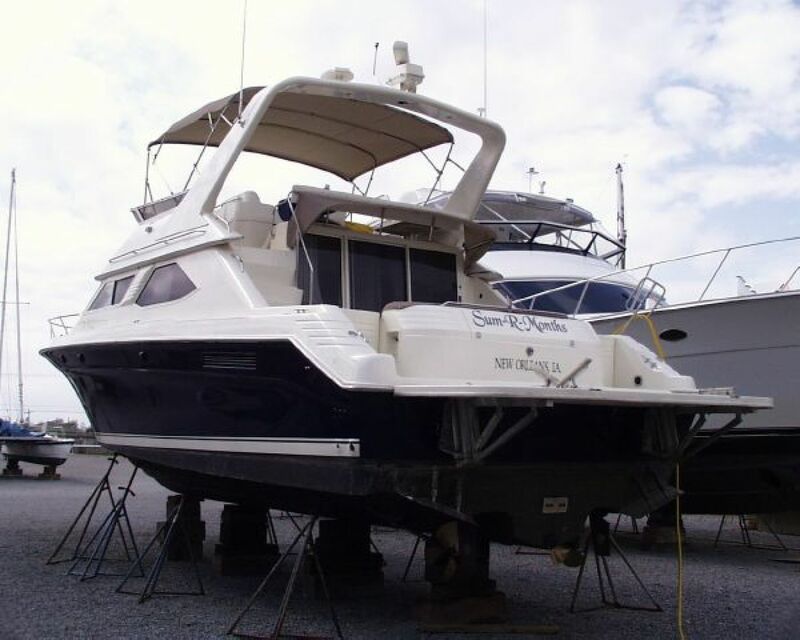 With all of this professional maintenance, she is in nearly perfect shape and ready to go.